I think every home cook needs to have a few quick, tasty ideas up her sleeve for hunger that’s gone too far. There are many correct answers, but the key is to have the idea and the ingredients at the ready when there is either a hostage situation and your response will save the city, or for when you and yours just need to eat now. 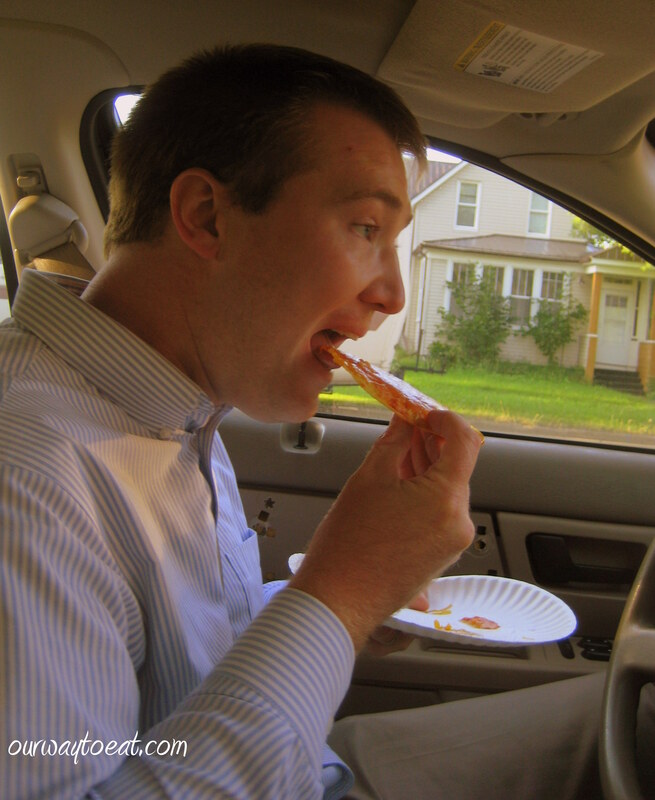 There are a few fairly obvious guidelines to succeeding at the preparation of a good meal in 5 minutes. The first key is simplicity. Tostadas are extremely simple. 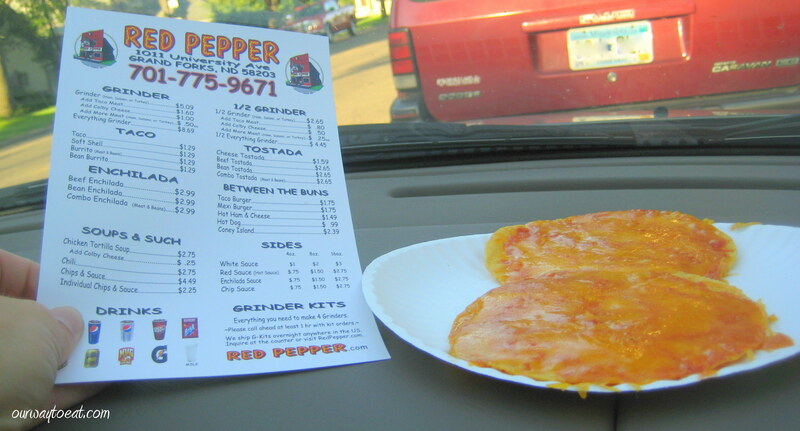 My favorite Tostadas in the world come from Red Pepper in Grand Forks, North Dakota, and they are nothing more than a tostada with melted cheese and hot sauce. In fact, Tostadas began appearing at our house as an homage to Red Pepper Tostadas, and are frequently eaten on evenings when we’re tuned in to University of North Dakota Hockey on T.V. 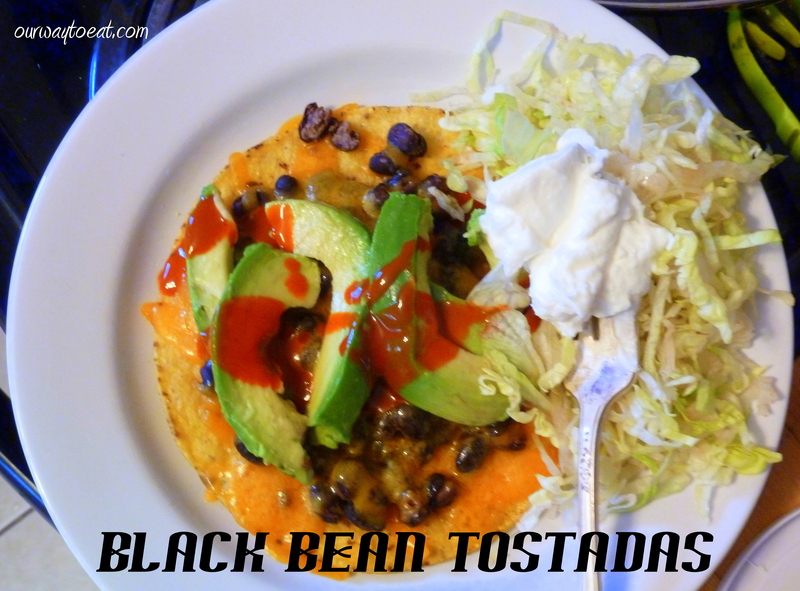 We have Tostadas with just cheese and hot sauce as a snack or side dish, but when Tostadas are the meal, I rifle through the pantry and the fridge for a few extra ingredients to round them out. This is the second key to 5 minute dinner prep: it must be flexible. 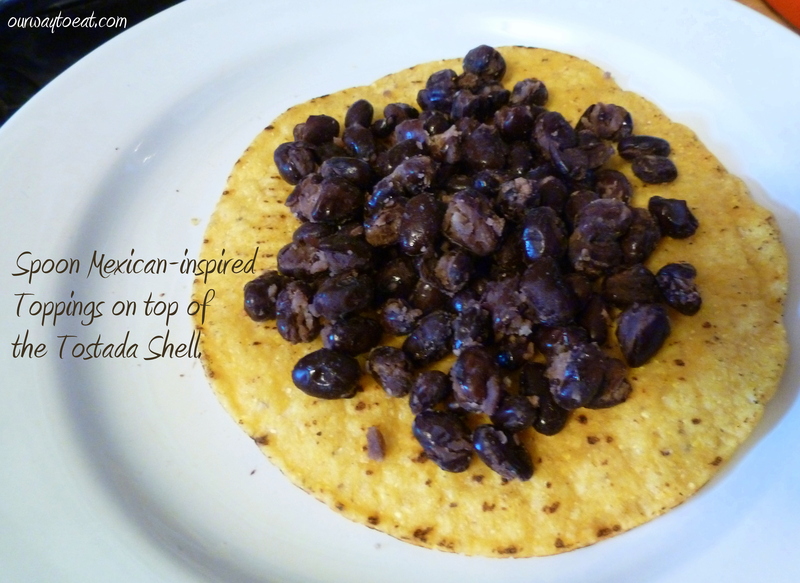 I’ve made tostadas with sliced black olives, canned black beans that have been rinsed, jalapenos or with vegetarian refried beans, which is one of my favorites. You could use chopped tomatoes, frozen corn, onions, or leftover taco-seasoned beef or chicken. The assembly simply involves topping a Tostada shell with your Mexican-inspired ingredient of choice, and melting the cheese. 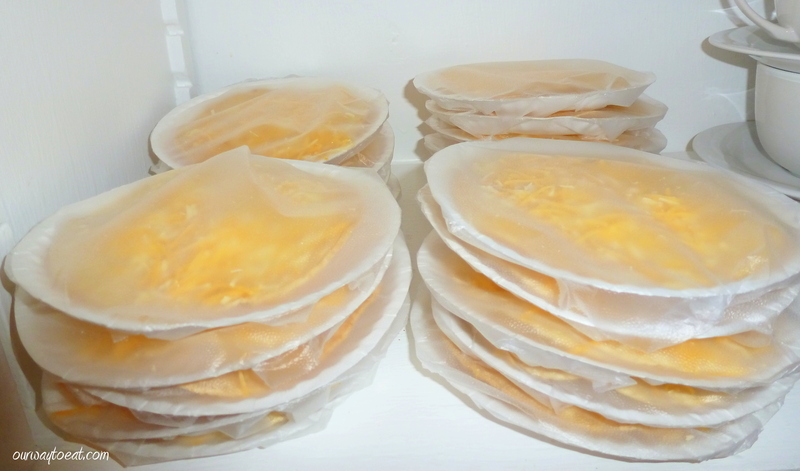 Often, I just zap the tostada in the microwave until the cheese melts. Occasionally I have used the grill, or placed the tostadas in the oven at 350 degrees. 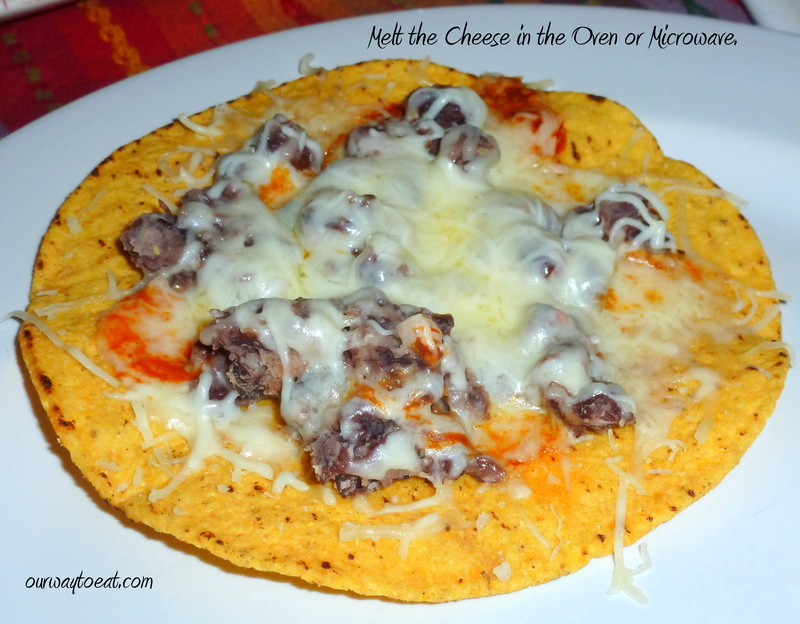 It only takes a few minutes for the cheese to melt, and the beans to be warmed through. 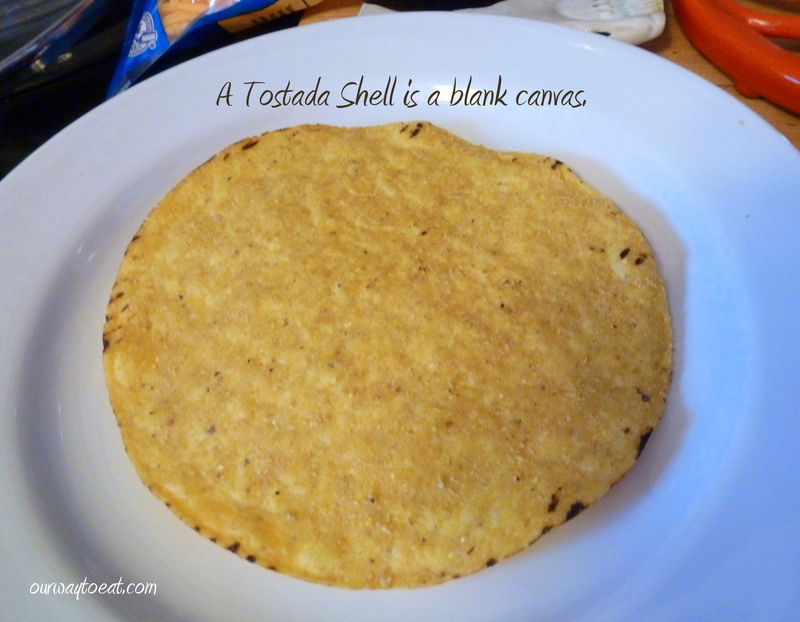 An added bonus of using the grill or the oven is it lets the cheese get a bit brown, and the Tostada shell toasty. 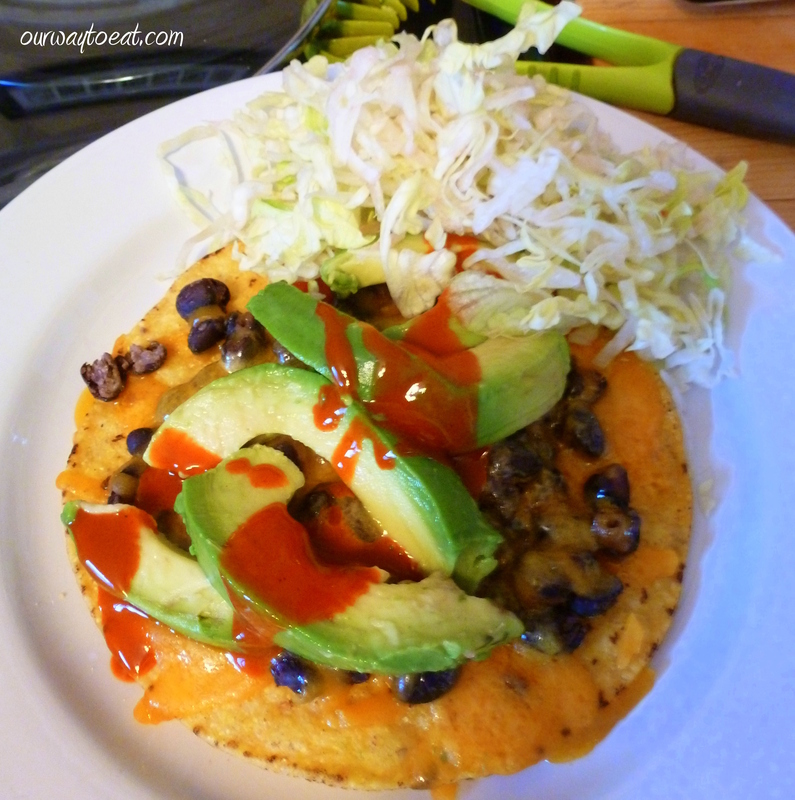 If you are truly can’t wait for the oven to heat, by all means, microwave the Tostada. It will be great. The third key to 5 minute dinner prep is that it must be something you can make easily for one person, or for a crowd. If you heat your Tostadas in the oven or on the grill, you can make anywhere from 1 to 10 at a time. 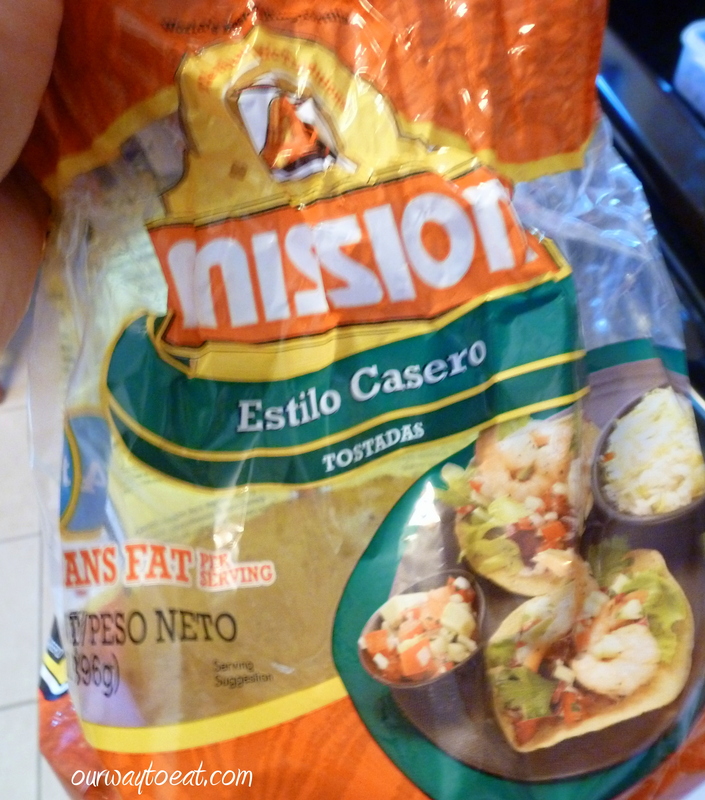 The microwave cooking method would get a little bit tedious if you were making more than 4 Tostadas at a time. We’ve made cheese Tostadas as a side dish for the meal we prepare and deliver every other week to an Emergency Safe House for homeless youth in our neighborhood. We wrapped the Tostadas individually on a paper plate, which is the same way they are served at the Red Pepper. While the Tostadas are heating in the oven or in the microwave, there is just enough time to throw together a quick salad to make Tostadas into a proper meal. 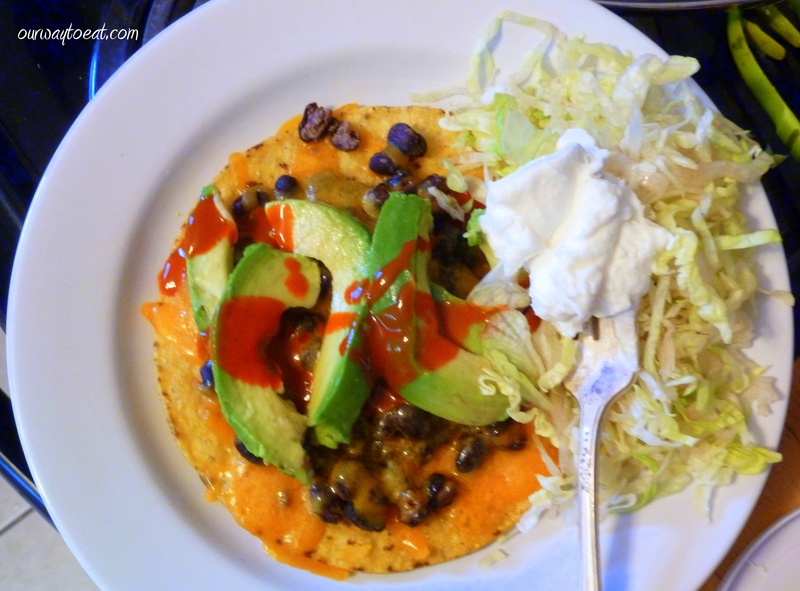 Shredded or torn leaves of lettuce, slices of tomato or olive, jalapenos, onions, and slices of avocado with a squeeze of lime juice, a little sour cream, and of course hot sauce are all perfect for a salad, and are tasty when piled on top of the Tostada. Now, all that is left is to dig in. Give me 5 minutes and a few pantry staples and I can take you from a little too hungry to human again. *In my opinion, Bill and Ted’s Excellent Adventure and Bill and Ted’s Bogus Journey are the best flicks starring Keanu Reeves in a leading role. In order to make a fair comparison, I should probably have seen that movie that forever changed effects in movie fight scenes to include slow motion flight through the air with flailing legs…what was it called? The Matrix? But, I give myself enough credit to review the key performances in the height of Keanu Reeves’ acting career because I saw him live as Hamlet in grade 8. I have now said everything I will ever say about Keanu Reeves on this blog. I am somewhat in disbelief that I managed to say even this much about him. **I know you were expecting a slick, action-movie –like response to the question “What do you do? What do you DO?” line of questioning, but I can’t think of any way to make a parallel between Keanu’s response that he’d “shoot the hostage” and solving a garden variety household hunger emergency. Ok, now I’m really done discussing Keanu Reeves, forvermore.